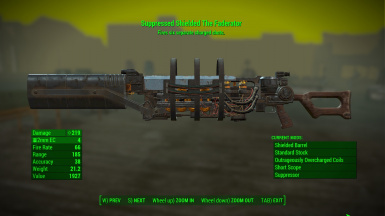 Gives all unique weapons (that is, renamed legendaries) in the vanilla game their own unique appearances and effects! Over 30 new uniques in all! Adds over 40 new and completely unique weapons with unique effects to the game in handplaced locations to discover and collect! 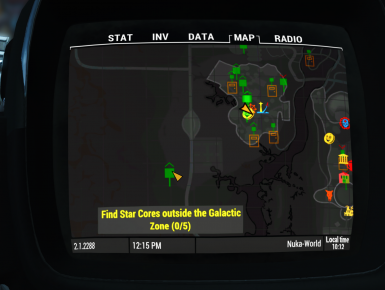 Adds quest markers to various collectable items in Nuka-World: Star Cores(! 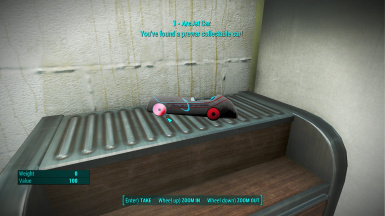 ), Nuka-Cola Recipe books, Park Medallions and improves Cappy location markers. This is a simple Mesh replacer for the Bobbleheads. It aims to give them a little personality. 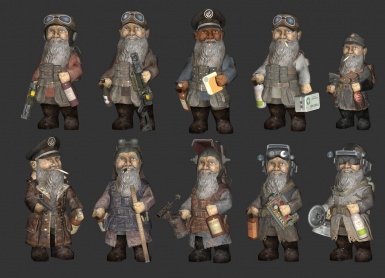 Adds Armor, Clothing, Glasses and Bobble animation to the Bobbleheads,. 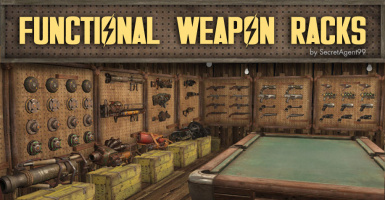 If you missed the Wild Wasteland of Fallout New Vegas like myself, well this may be the mod for youI've added items and references throughout The Commonwealth for you to find! 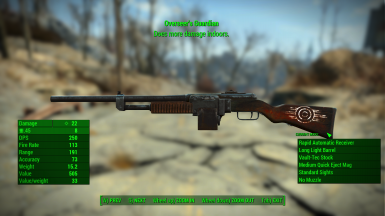 From collectible trinkets to legacy weapons or even just a unique critter or npc to stumble upon, this mod has got em. 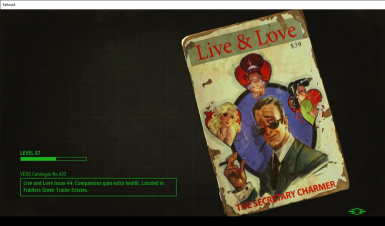 This is a spin-off mod to my D.C. Interiors, N. V. Interiors and Beantown Interiors quest "Drunken Gnomes". It adds mini themed fetch quests to locate missing Drunken Gnomes. 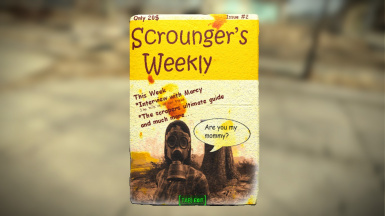 Scrounger's Weekly is a magazine collection which adds 6 new magazines to collect, each will give a small carry weight bonus. 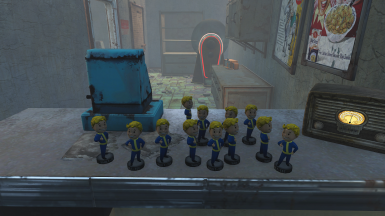 Adds 12 new Bobbleheads to find out in the Commonwealth. 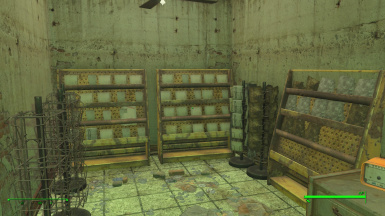 Adds collections to the Commonwealth! 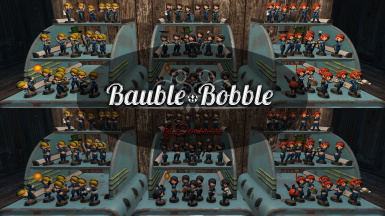 A compilation featuring 8 sets of Bobbleheads. 160 new items! 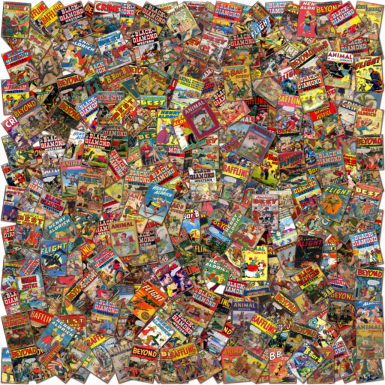 1337 unique comics to find. Adds new loading screen for the location of bobbleheads and magazines missing from the players collection. 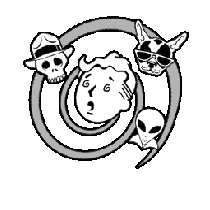 Includes Automatron, Far Harbor and Nuka World. Support for Vault Girl and Bobble Girl. 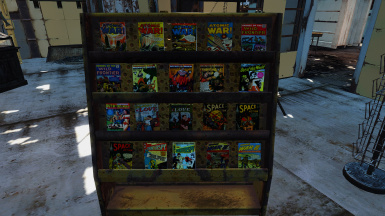 Restores some cut perk magazines and places them in the world. 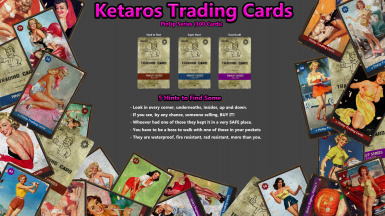 The mod will spread around Commonwealth 100 PinUp Trading Cards. 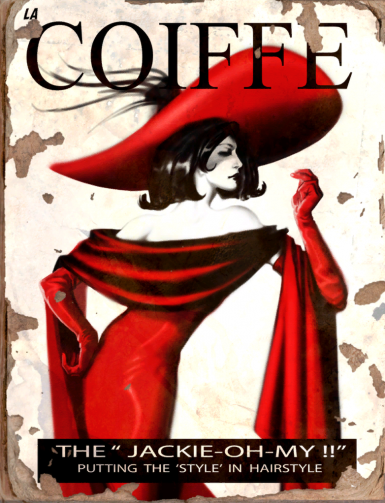 Giving to you a whole new immersive treasure hunting and fun. 100% of them can be found spread on exteriors and interiors, as well inside very protected cases and bosses. Good luck. 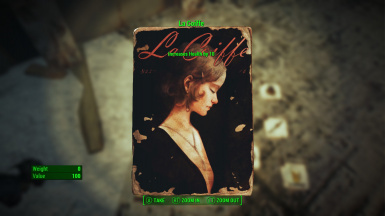 Adds all 77 pins from the loading screens to the world as collectible items that can be placed on a perk poster, picture frame, or a repurposed magazine rack! 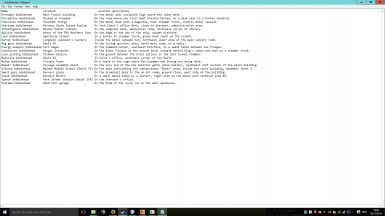 This also includes a quest with optional markers.